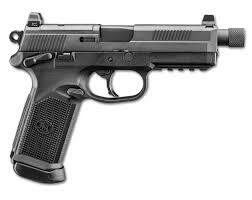 The CZ 75 SP-01 is the first full size handgun from CZ to feature the improved manufacturing technology and ergonomics of the NATO-approved CZ 75 Compact P-01 model. 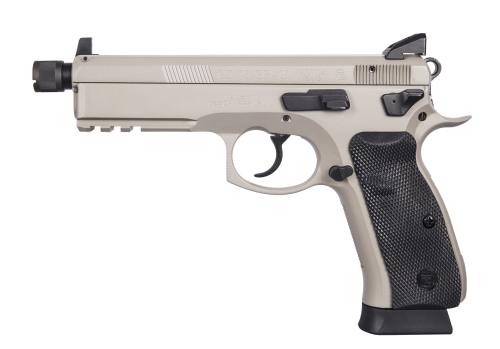 Featuring an integral 1913 accessory rail on the dust cover, rubber grip panels, and CZ’s corrosion resistant polycoat finish, the SP-01 is the newest model to join the family of pistols based on the CZ 75 (SA/DA) platform. 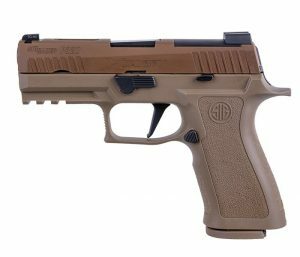 Borrowing from the improved grip geometry of the compact P-01, the SP-01 utilizes an extended beavertail to protect shooter’s strong hand as well as allowing for a deeper and more secure grip. 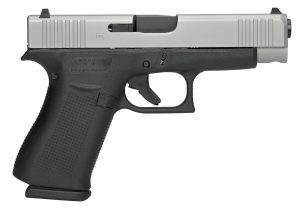 The new grip geometry, checkering in key areas on the front and back straps, and redistribution of mass provided by the accessory rail noticeably decrease the perceived recoil from previous models and allows for more rapid target acquisition and transition.